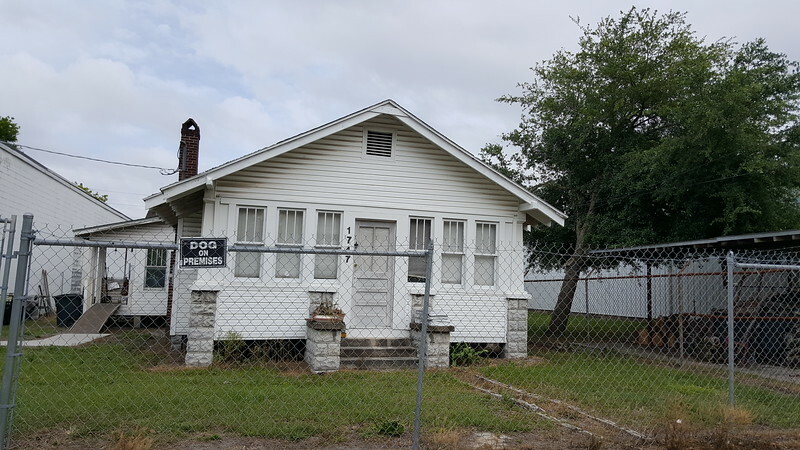 Glen Myra is an early 20th-century Jacksonville neighborhood that industry built. This Eastside community grew around industrial sites to become a neighborhood where workers and their families could live, work, and play. Aerials illustrating the evolution of Glen Myra between 1943 and 2017. The large site in the bottom right corner is the former location of the Wilson & Toomer Fertilizer Company. Situated along the banks of Deer Creek and the St. Johns River, this area of the Eastside was already anchored by the Atlantic Coast Line Railroad Company’s Export Terminals, the Seaboard Air Line Railroad, and the Wilson & Toomer Fertilizer Company by the time residential development began taking place. 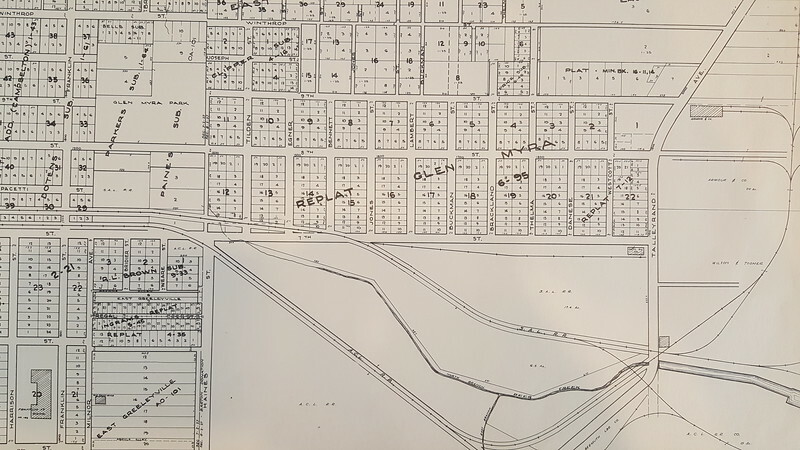 Roughly two blocks in width, the twenty-block square block neighborhood was platted and developed with East 8th Street (formerly Glen Myra Street) serving as its central focus point, tying it with Springfield on the west and Talleyrand Avenue on the east. As a part of its early development, a streetcar line was extended east along 8th Street, providing efficient mass transit access between Jacksonville’s urban core and early maritime industrial and manufacturing centers along Talleyrand Avenue. Soon, East 8th Street developed into a corridor lined with a mix of commercial and residential uses. Residences on 50x100 foot lots sprouted up on streets running perpendicular to East 8th Street between West 7th and 9th Streets. The increased access led to the growth of manufacturing businesses along the ACL and SAL railroad lines along Deer Creek directly south of Glen Myra. During the mid-20th century, a series of events impacted Glen Myra’s fortunes. In 1936, streetcar operations ended as the city’s streetcar system was replaced with buses. In addition, as residents fled the urban core for the suburbs, Haines Street was retrofitted into an expressway, cutting the neighborhood off from neighborhoods to the east. 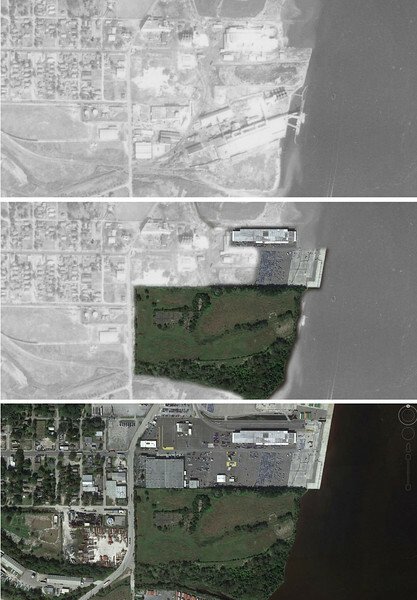 While technological advancements reduced the number of local manufacturing jobs, railroad mergers and closure of obsolete industrial complexes resulted in large swaths of abandoned contaminated sites no longer environmentally suitable for reuse. 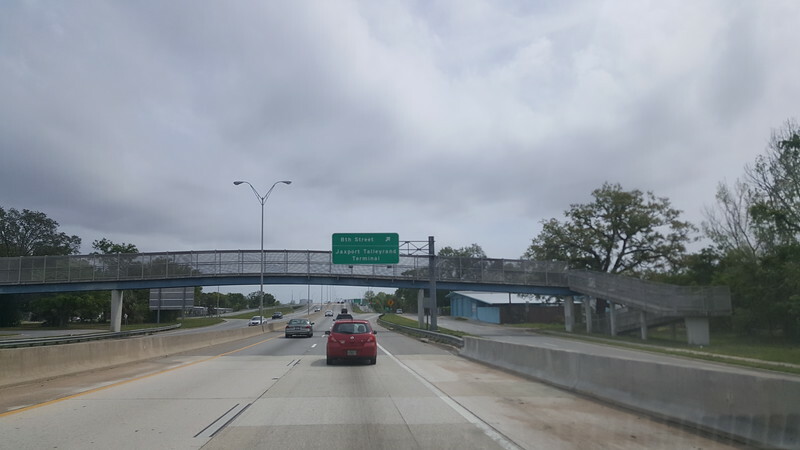 MLK, Jr. Parkway is an expressway that was developed through Glen Myra during the 1960s. Prior to this era, it was a neighborhood street called Haines Street. While much of its early industry has disappeared, Glen Myra remains a good representation of an early 20th century environment developed in a manner where industrial and maritime workers could reside within walking distance of their places of employment. Shielded from the urban renewal that led to the loss of historic neighborhoods closer to Downtown Jacksonville, today Glen Myra remains a quiet place, its streets lined with interesting historic buildings and sites involved in the city’s evolution into a major distribution and logistics center. Here’s a look at present day Glen Myra and the historic sites that originally gave the community life.